R. Kelly going to a club for an hour and walking away with $22k cash might have lots of people upset — but his ex-wife sure ain’t one of them … quite the opposite, actually. 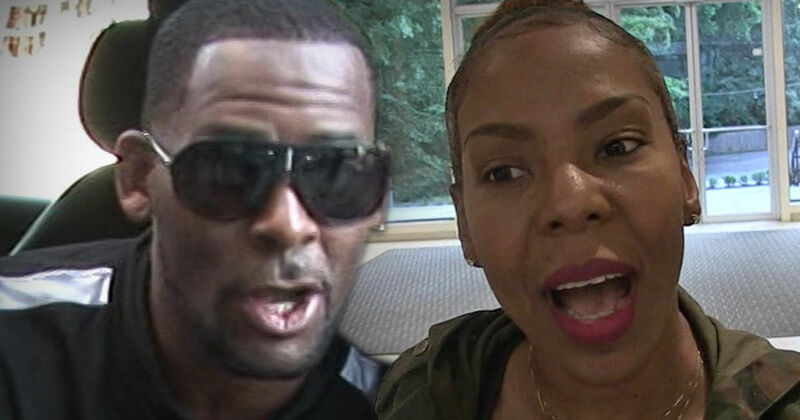 A rep for Drea Kelly — R. Kelly’s ex of more than 10 years — tells TMZ … she takes no issue with R. Kelly getting out there and making a buck — but not because she thinks he’s innocent … it’s more about what it means for her and their kids. We broke the story … R. Kelly showed up to a club in Springfield, Illinois over the weekend, where he sang a bit of “Bump N’ Grind,” hung out for less than an hour … and walked away with $22,000. He asked the media to go easy on him, as this was just a means to an end. We’re told Drea sees it this way … if R. Kelly’s working to fulfill his financial obligations, “no one can be mad at him for that.” Besides, Drea’s rep tells us the man certainly has responsibilities that need tending to with dough … for the sake of his kids. As we reported … R. Kelly went BACK to jail last month because he couldn’t pony up his back child support bill … more than $160k. He got sent to the can but was bailed out when someone covered his tab after spotting him (again). Not only that … as far we know, R. Kelly is still on the hook for nearly $21k per month in child support, which he was also unsuccessful in getting a judge to lower at the time. No word on whether he’s paid Drea that $21k — which he presumably still owes her monthly for their minor child, who’s 17. It’s interesting … R. Kelly told Gayle King during his CBS interview he wasn’t able to pay Drea, in part because she’s badmouthed him to the media … and torpedoed his ability to make money. Sounds like she’s now stepping back and letting him do exactly that.